As the most widely used desktop operating system in the world, the efficiency of using Windows is closely related to our work and study. 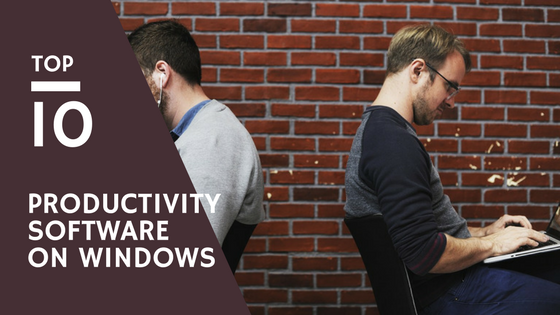 Today, I’ve collected 10 efficient tools to make your Windows computer more productive. If you used to look for some articles about efficient tools on Windows, you might have heard this software. This tiny software can visit the USN logs of a NTFS drive, scan and index TBs of files in seconds. What’s more, it monitors all the indexed files modification in real time. In my opinion, it’s the fastest files index and search tool on Windows. By the way, this software is only 1.3 MB. Everything also supports finding files by regular expressions. All search results are displayed in a flash, and occupies very little RAM usage. If you are not familiar with the regular expressions, you can use the advanced search feature, the interface is very easy to understand. What’s more, you can visit HTTP, FTP or ETP server by this software, even turn your computer to a remote server while keeping the powerful file search feature. You can download Everything here for totally free. Although Everything is so powerful, you can only search a file by its file name. If you want to search a webpage, an application or execute other commands, Everything can’t help you. In this situation, Wox can help you. Wox is a free and open-source application, it’s the Alfred alternative on Windows platform. Just like Alfred, it also supports many kinds of plugins. With these plugins, you can use Wox to manage clipboard history, manage processes, translate texts, check your mail, and so on. When I write this article, there are already over 100 plugins to choose from. You can compile your own workflow with them. You can download Wox on Github for free. 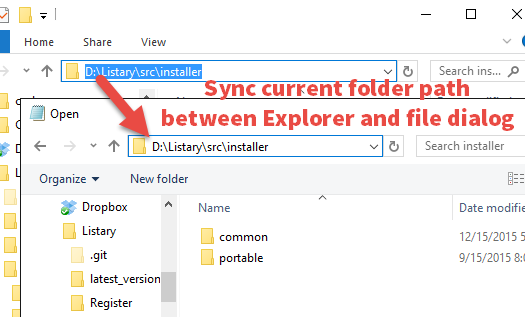 Listary is an alternative choice of TotalCommander and XYplorer. 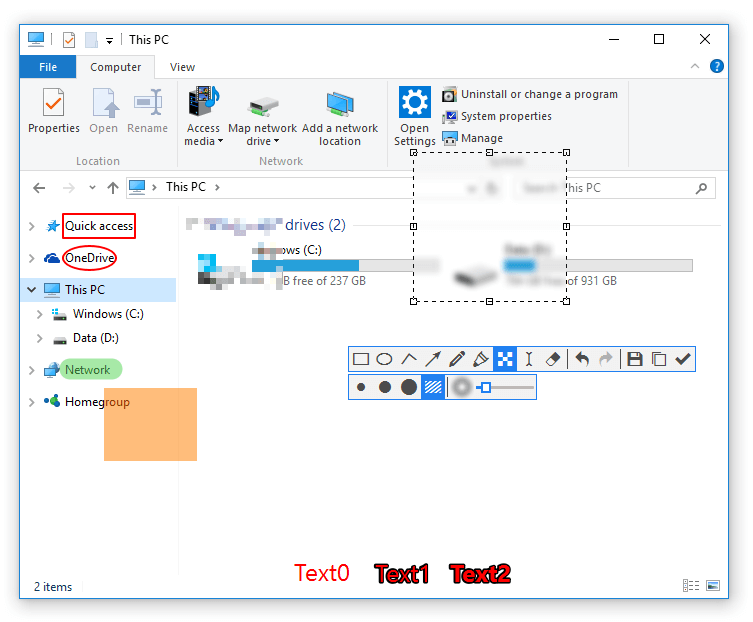 As a powerful Windows file explorer application, it can locate a file quickly, execute smart commands, records exploring history, switch directories, and set favorite items. You can call up Listary in any folder with keyboard shortcuts. 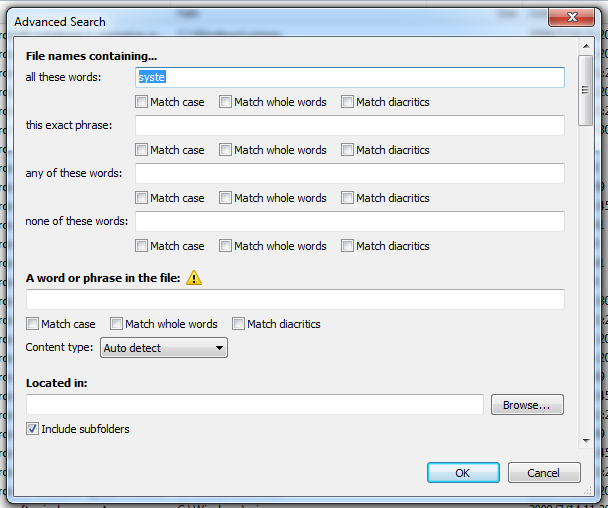 Another outstanding feature of Listary is the enhancement to Windows file choice window. 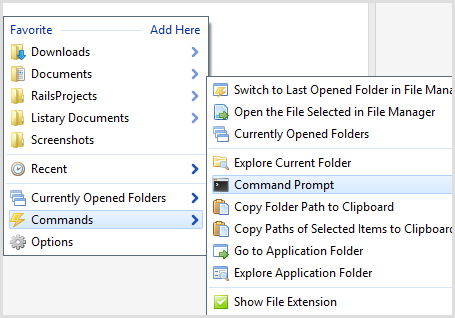 When you need to open or save a file, Listary’s operation window will display under the operation window, then you can search for a saving directory quickly. If you have some other directories opened, you can switch to them easily with Listary. You can download it here for free. Or upgrade to Pro with $19.95. On macOS, there is a convenient feature called Quick Look, with this feature you can preview almost any file with the space key. On Windows, the Microsoft doesn’t provide such a feature, however, we have millions of smart developers. Seer is the tool which provides similar feature for Windows users, and created by a third-party developer team. When Seer is installed, you don’t need any setup procedure, just choose a file and press the space key, then you can preview it. It supports text, image, video, compressed file, and other 100+ file extension names. What’s more, you can extend its ability by installing plugins, then it can support more files like Office, CAD, and so on. Seer also provides two version. If you need free version, you can download from SourceForge, however, it’s a beta version. If want a full feature version, you need to pay $12.18 for it. Almost every Windows user will meet such a problem: the desktop is full of software icons and files. With time passing by, our productivity will be heavily affected. Fences is the killer app to solve this kind of problem. With Fences, you can create several areas on your desktop, then organize all icons and files to those areas. 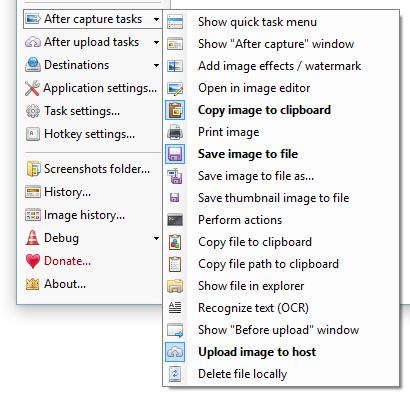 You can also create snapshots for your desktop settings, so you can switch among several modes easily. 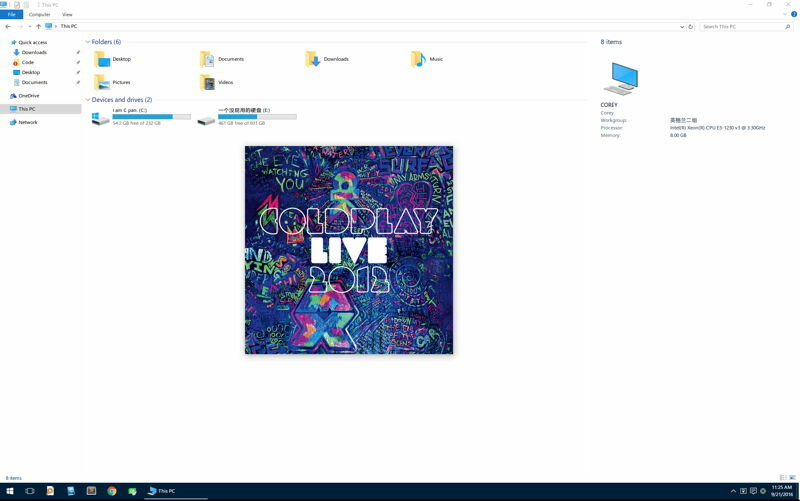 If you don’t want any icons on your desktop, just double click the blank area of the desktop, then all icons will be invisible. This software only provides a paid version for $9.99, and you can try it free for 30 days. 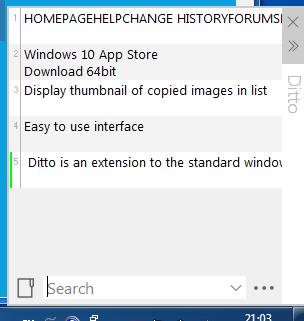 Ditto is able to manage your clipboard history, with this software you can browse hundreds of clipboard records and search among them. You can also combine several clipboard records into one piece. If you copy texts from a webpage, the style will be copied at the same time. If you don’t want the style, you can choose the record and press SHIFT + ENTER to paste the texts without any style. You can download Ditto from SourceForge, it’s a free and open-source software. If you are a Windows 10 user, you can download the UWP version from Windows 10 App Store. 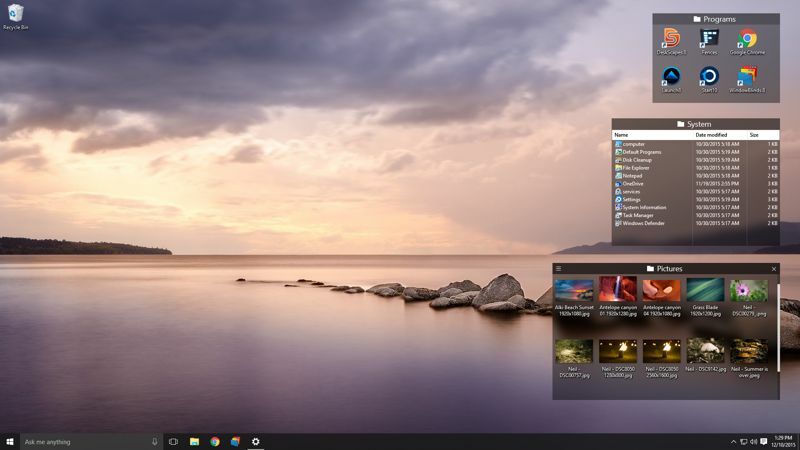 There are tons of screenshots taking software on Windows, most of them are pretty similar. 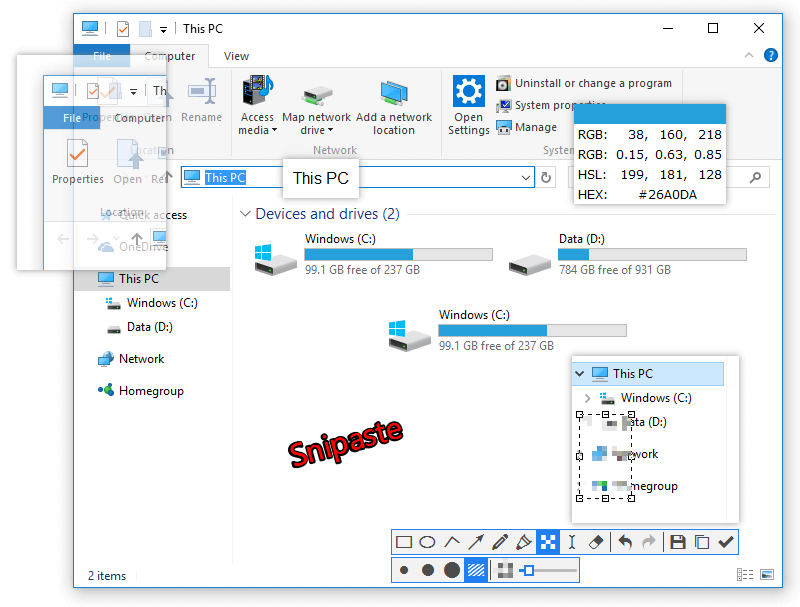 Snipaste is a very special one among them, it merges taking screenshot and pasting the image together, expand the scenario of this kind of tool. 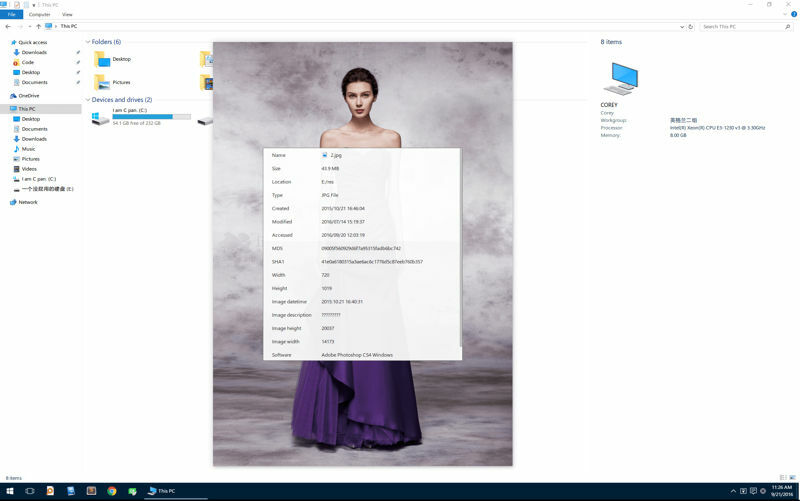 For the screenshots taking part, Snipaste can recognize the edge of system elements. After taking a screenshot, you can add annotation, arrow, shape, highlight, mosaic, and so on. However, what attracts me most is the screenshot pasting feature. In fact, Snipaste is formally called PicNotes, which means you can take notes with pictures. Besides images, you can also paste texts, HTML codes, color value. You can download Snipaste here for free. Now it’s only available on Windows. The macOS and Linux versions are under development. ShareX is also a screenshot taking software, compared to Snipaste, ShareX’s main focus is on screenshots sharing. As a free and open-source software, ShareX has got tons of features. You can use it to take screenshots (including webpage), record the screen, pick a color, merge images, generate video thumbnail images, check HASH value, generate QR code, OCR, even work as an FTP client. You can upload a screenshot image to several image share services, or upload to specific server with POST/GET method. The killer feature of this software is the customized workflow. For example, you can monitor a folder’s changes, automatically add watermark on images, then upload to an online server, even generates a short link and send a tweet. You can download ShareX here for free. To improve the productivity of mouse usage, the first choice is to use mouse gestures. Some web browsers are providing basic gestures, while pro users will use StrokesPlus. 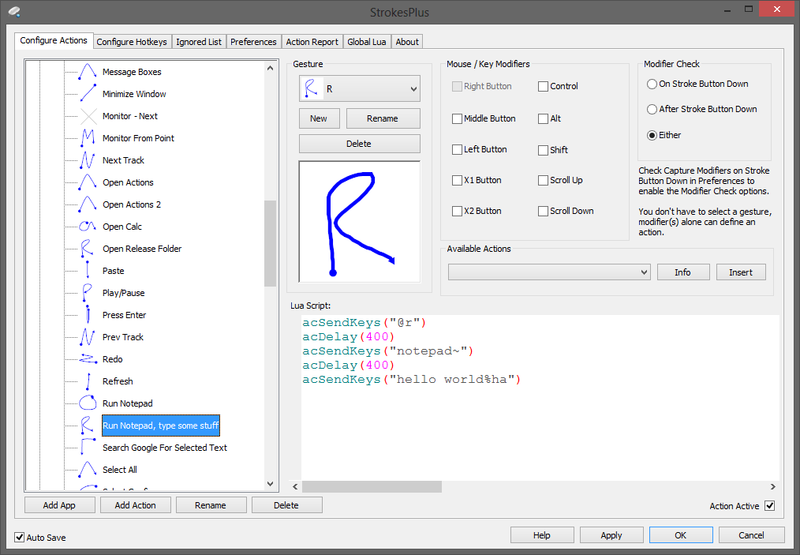 WGesture’s features list is a bit shorter than StrokesPlus, but it’s much easier to use, and it’s totally free to use. As a global mouse gesture software, you can operate all the customized commands like control a window, navigate to a specific webpage, process text, play music with mouse gestures. You can set a mouse gesture with 8 directions, right click and scroll. You can download WGesture here for free. If this software can’t meet your needs, you can try StrokesPlus. After improving the productivity of mouse, now let’s talk about keyboard productivity. If you are a pro user, no doubt AutoHotKey is your first choice. If not, you can consider Capslock+. With this software, you can implement many text operations with Capslock key, and without mouse. In addition, Capslock+ can help you replace texts, control music play, translate texts, reload program, and so on. This software is available on Github.